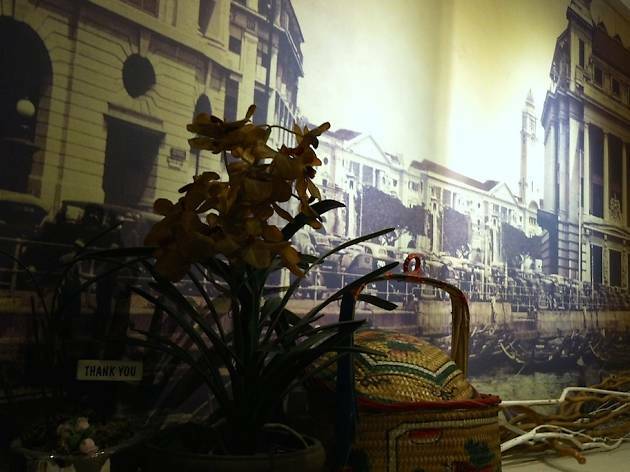 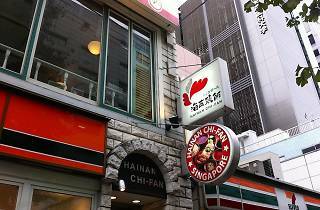 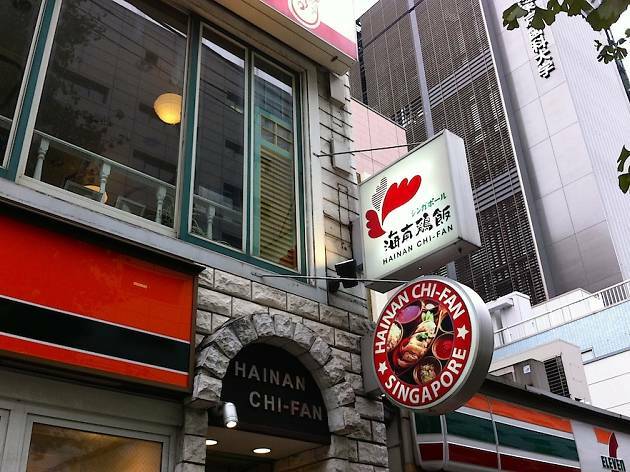 Spot this rare Singaporean restaurant on Hakusan-dori close to Suidobashi Station. 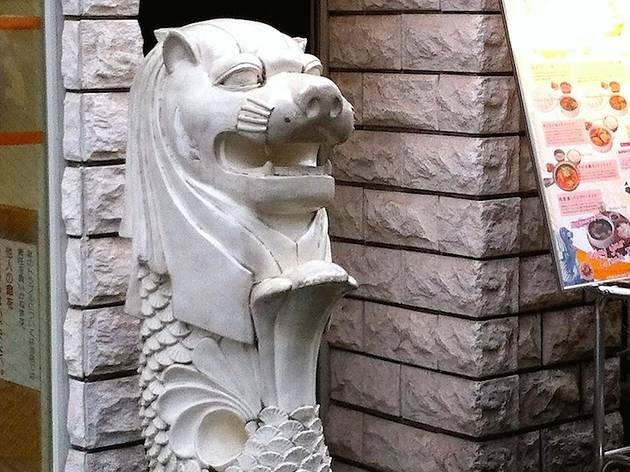 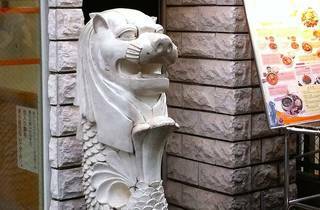 You'll be welcomed by mini Merlion (as is customary at Singaporean places) before entering the brightly-lit space with a huge window. 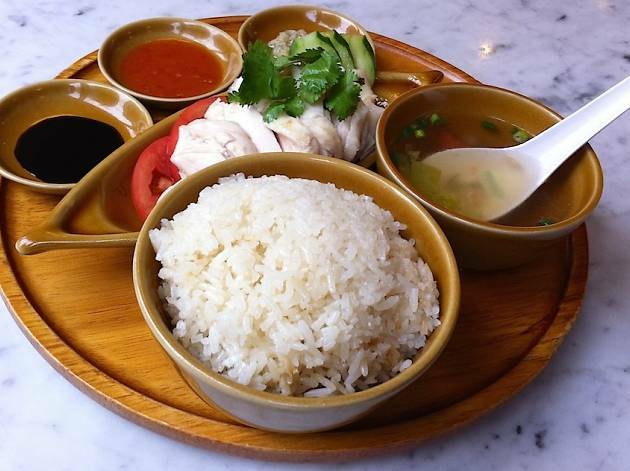 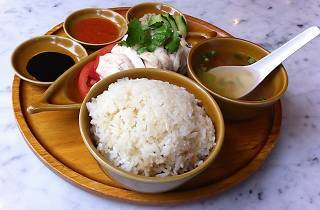 Their signature Hainanese chicken rice boasts juicy wings and comes with peppery soup, but the real protagonist is the firm-cooked rice, boiled with chicken soup.